Nice holiday thank you, but now back to the grindstone! So how did you survive the earth quake last week? You'll have gathered that CJS kept rolling on and last week produced a 12 sided CJS Weekly containing 86 new paid posts of which 59 came direct to CJS. This week's edition is just about to go to press and has 93 jobs (62 direct to CJS) over 11 pages. We've had a few stormy days (and nights too) recently and one lovely old alder at the edge of one of the now drained village ponds succumbed tearing itself in two. 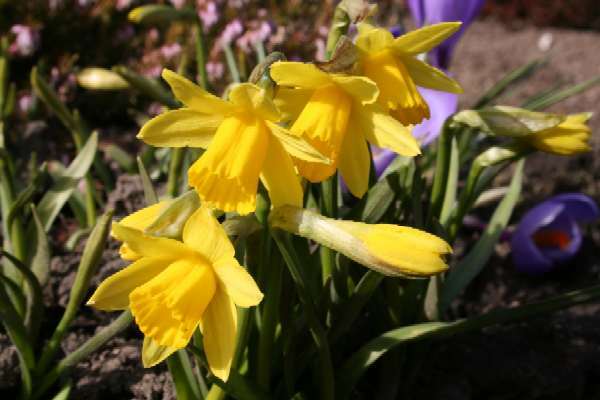 However, as these lovely tête-a-tête mini daffodils show spring is here – well almost. Enjoy the sunshine whilst you may, more storms are predicted for Monday. Equinox gales rage – oh and it's Easter too!